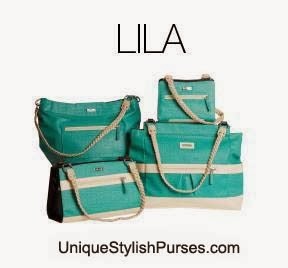 Bring a little tropical breeze to your wardrobe with the Lila Miche bags. Bright turquoise faux leather features a unique embossed woven pattern; smooth cream accents complete this delightful design. You don’t have to go on a trip to the islands to catch the spirit of Aloha—just slip on Lila and any day can be a vacation!